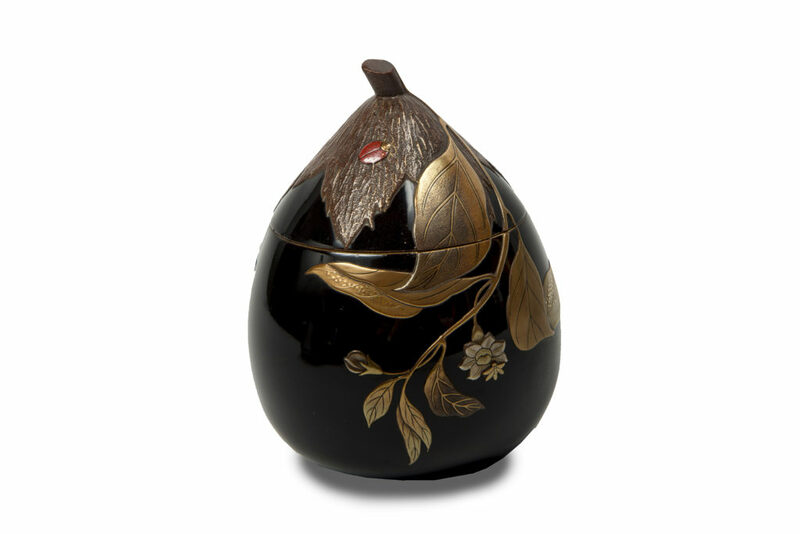 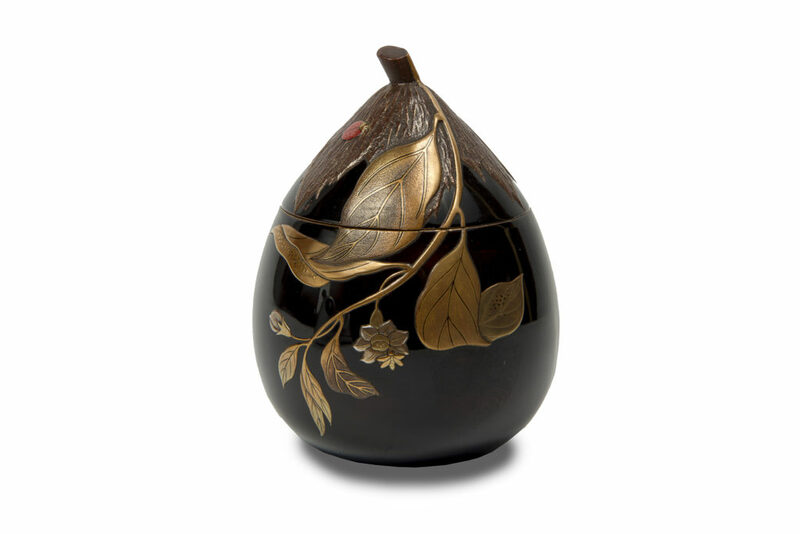 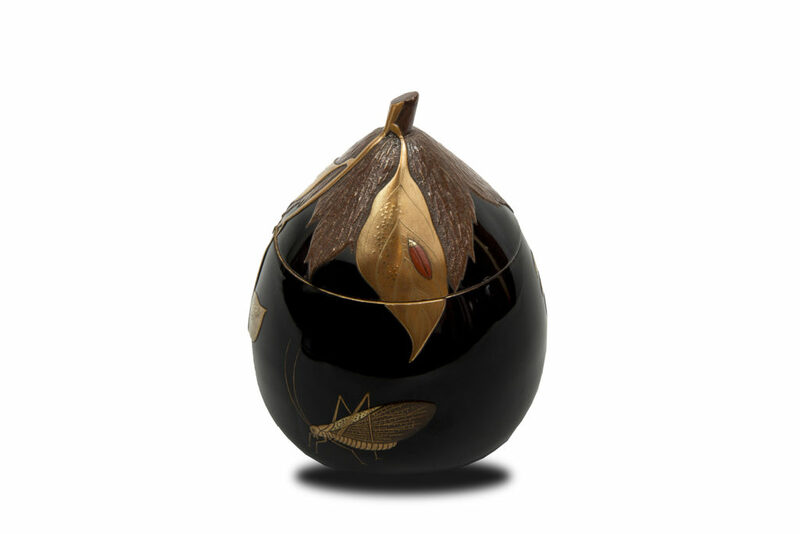 Koro (incense burner) in the shape of persimmon in black lacquer with a gold, silver and red lacquer decor in hira maki-e of a ladybug on a leaf, a grasshopper and a bee in the middle of flowering branches. 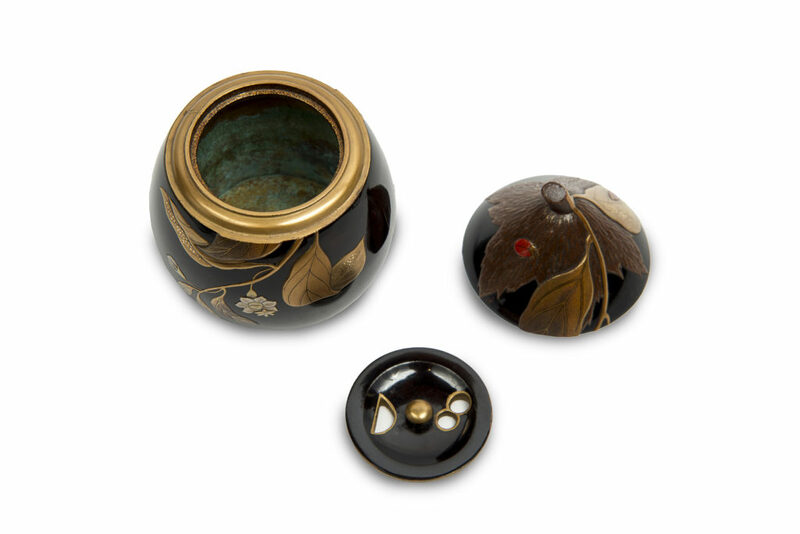 Inside of the lid in nashi-ji lacquer. 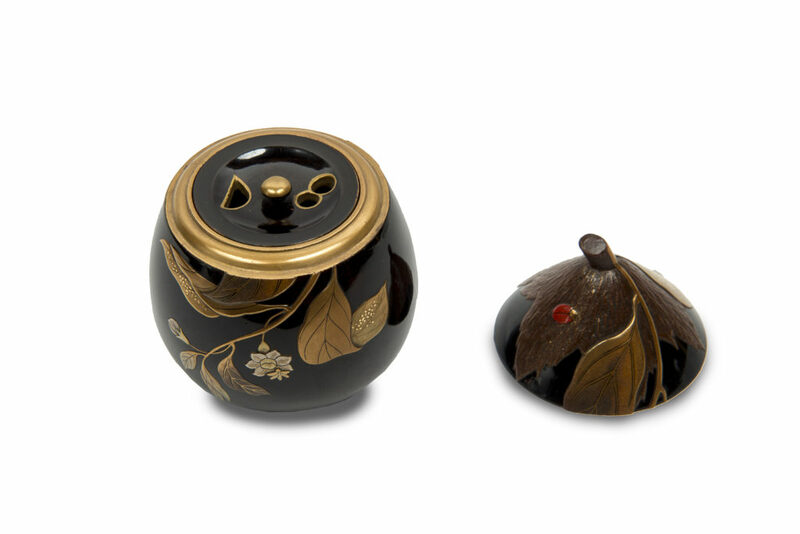 The grill of the furnace in black and gold lacquer.